I teach a simple version of the Sun salutes, Salute the Sun, Sun Salutations in the beginners yoga class on Monday at 6:15 pm at Wesley UMC, 3515 Helena Avenue, Nederland, Texas. Enjoy! Salute the Sun, Sun Salutations, a beginners yoga practice in Nederland, Texas with Gail Pickens-Barger. Over 18 years teaching experience. Call 409-727-3177 for your yoga questions. 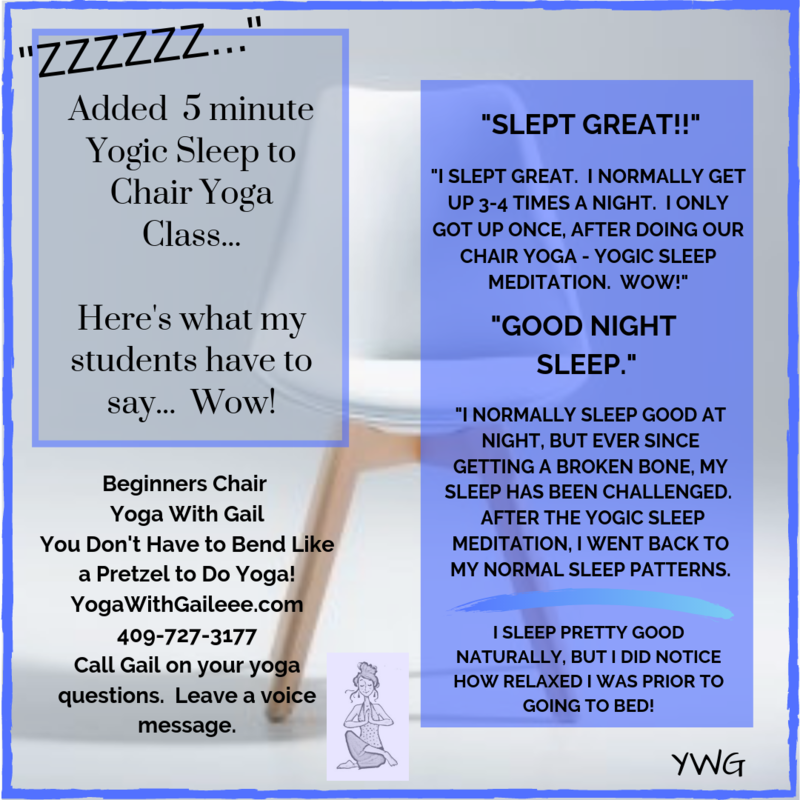 Yoga with Gail Pickens-Barger, E-RYT200, RYT500, NACYT, LVCYT, Get Fit Where You Sit Chair Yoga Teacher, Licensed Zumba Fitness Instructor.